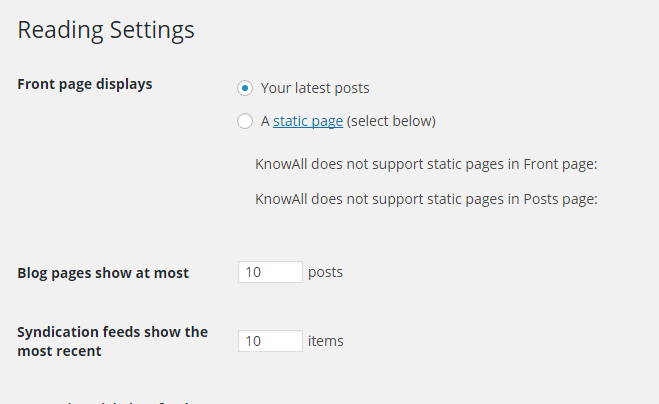 To install the KnowAll theme you must have WordPress already installed on your server. Please consult the WordPress installation guide or your web host provider for help with this. Once you have completed your purchase, you can download the theme package installation zip file at the end of the checkout. You can re-download it at any time from your HeroThemes account or with the details sent in your purchase email. 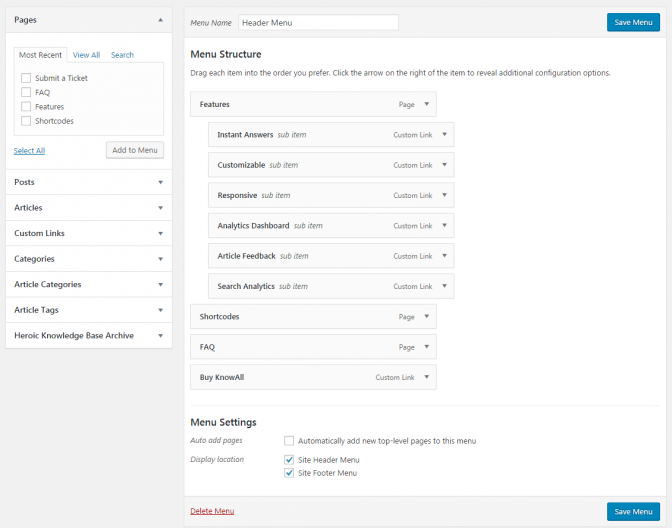 WordPress Upload (recommended): In the WordPress admin panel navigate to Appearance > Add New Themes > Upload. Go to browse and select the zipped theme folder. Press install now and the theme will be uploaded and installed. FTP Upload: Using your FTP program upload the un-zipped theme folder into the /wp-content/themes/ folder of your WordPress installation. Once the theme is uploaded, you need to activate it. Go to Appearance > Themes and activate your new theme. The KnowAll welcome screen appears on first activation and helps configure the theme, so you can get started quickly and easily. At the end of the setup process, your site will look similar to the KnowAll demo, without the need to import any files. 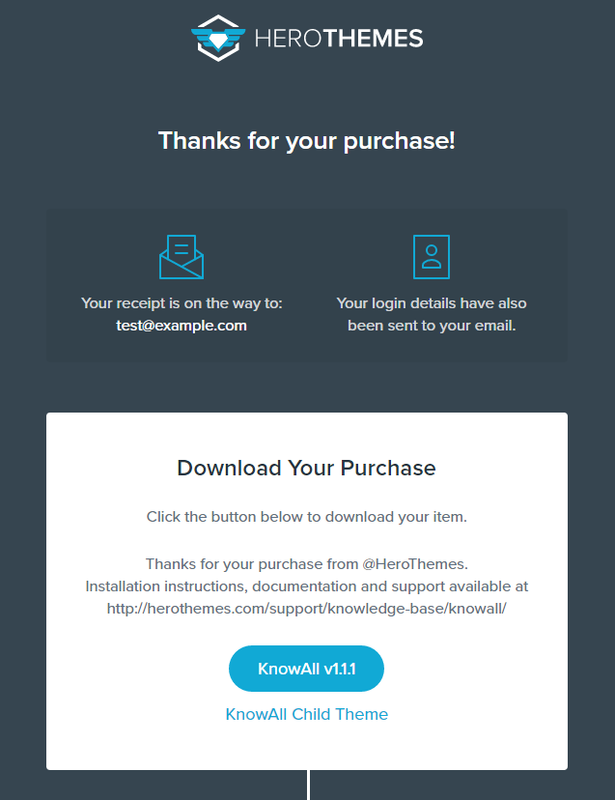 Enter your theme license key found in your purchase email, or from the License section in your HeroThemes account. 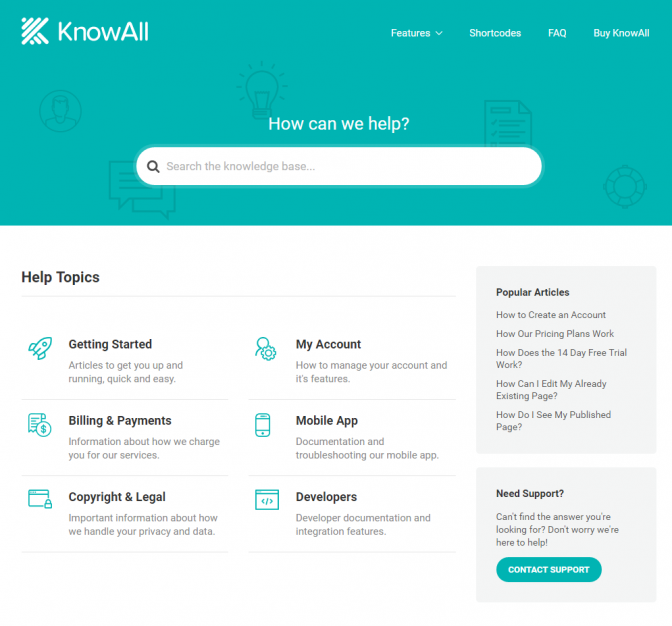 The Heroic Knowledge Base and Heroic Shortcodes plugins are packaged with the KnowAll theme and are required for the theme to work. These will be installed automatically when you click Continue on this screen. 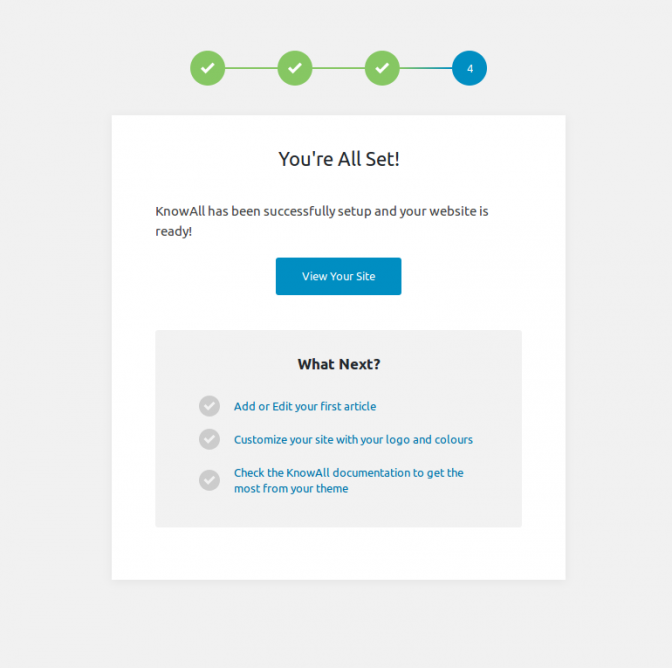 On this screen you can choose what content from the KnowAll demo you want to recreate on your site. It is recommended you leave all options ticked, the content will then be created automatically and can be managed from the WordPress dashboard. That’s it, from the final screen you can then view your site and there are quick links to start adding/editing your own articles or customizing the site with your own logo and colors. Once your have installed and activated the plugins you will them be able to setup your knowledge base. You can add content now, either by using the demo installer from the Welcome screen or start creating your own content. Refer to the Heroic Knowledge Base documentation for more in depth guidance on the features and configuration of the knowledge base. 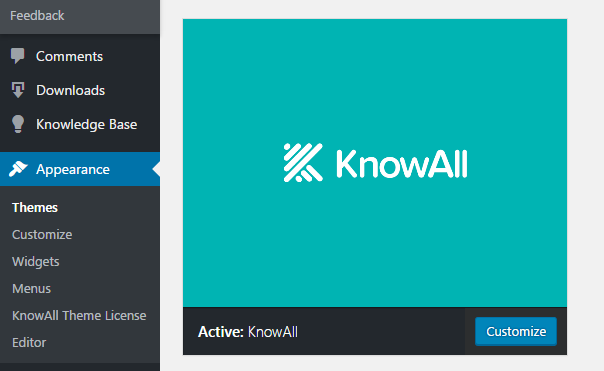 Note that KnowAll overrides some of the settings from the knowledge base, these will be hidden where appropriate, or available as an option in the Customizer (see below). If the welcome screen does not appear you can access it anytime from the welcome screen at Themes > KnowAll Welcome Setup. 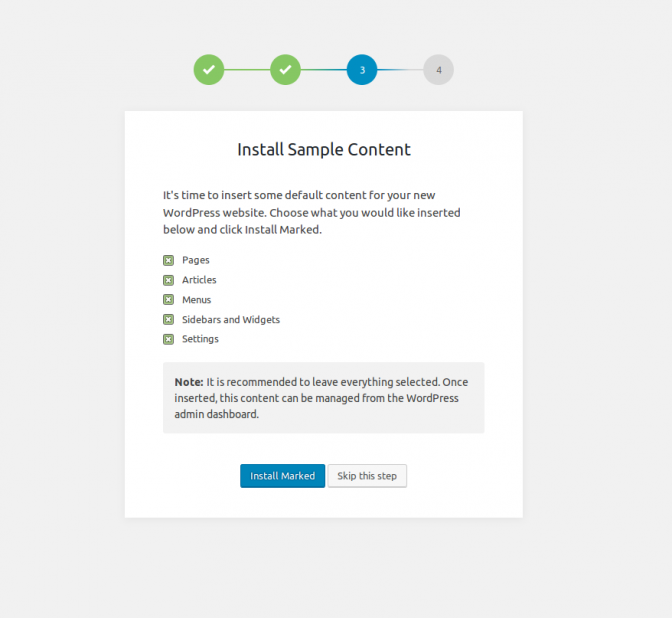 With the sample content installed, your homepage will be populated. Add articles to populate your knowledge base, for best results categorise the articles with Article Categories. KnowAll supports category images. 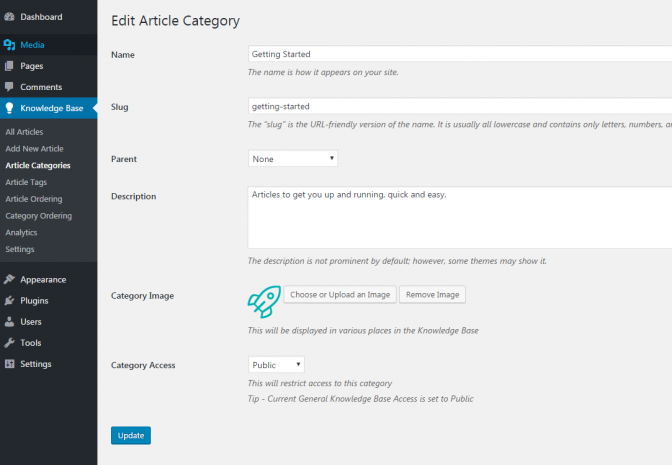 To add an image to an article category select Knowledge Base > Article Categories and Edit the category you wish to add image. From the Edit Article Category screen, you can add or edit category images. Shortcodes can be used to make your content interactive. KnowAll comes packaged with the Heroic Shortcodes plugin, providing an easy way to add visual elements to your site. See the shortcodes demo page for examples of some of the possibilities. Simply select the Heroic Shortcodes shield icon when adding or editing a page or knowledge base article and the relevant code will be added to the editor. To setup your custom navigation menus, goto Appearance > Menus or from the live Customizer Menus panel. Give your menu a name and build it up using the available items on the left. You can add a variety of menu items including pages, categories and custom links. To see all available menu items, you may need to click the screen options tab at the very top of the screen and configure your options. Once you have built and saved your menu, simply select the theme location(s), in KnowAll there are two available – site header and site footer. This theme features three Widgetized areas, which allow you to drag ‘n’ drop WordPress widgets which can be accessed from Appearance > Widgets. The widgetized areas include: Sidebar — Article, Sidebar — Category and Sidebar — Home. To use a widget in one of these areas, drag it from the Available Widgets panel on the left into one of the boxed areas on the right. Individual widget options can then be set, as shown in the screenshot below, including the title of the widget and what content appears. With the initial setup done, you can add/edit content. Change colors and layout (see the customizer options in the section below), and craft your help center. 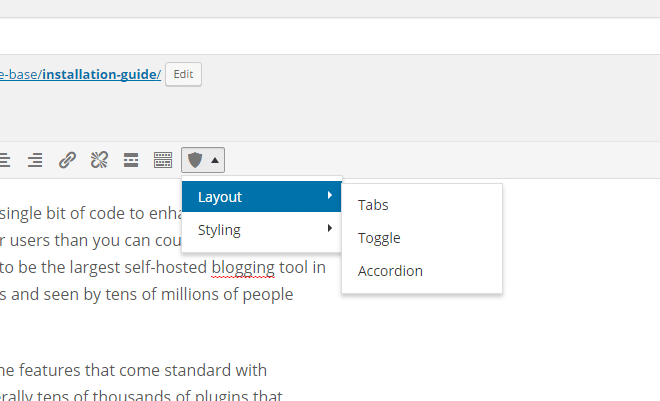 You can customize various visual aspects of the theme using the WordPress Live Customizer. Go to Appearance > Customize. Take some time to look through the options and customize them for your site. 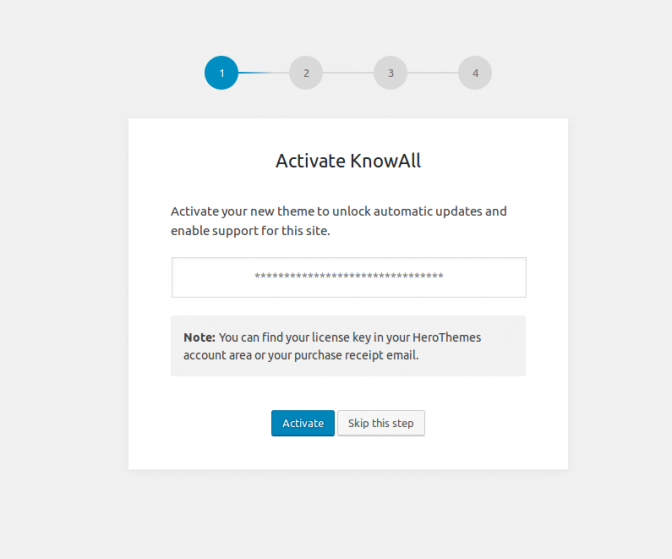 Enable automatic updates for your theme from Appearance > KnowAll Theme License and enter the code from your download receipt (also available in Your HeroThemes Account page). Click Save and then Activate License to activate automatic updates and support. When a new version is available it will show as Update Available from the Appearance > Themes view. Nothing found on search pages? If there are no results in the live search, try adding documents that match the key words. Key words match to the title and text of article using the WordPress search engine. The latest version of KnowAll also allows searching of article categories and tags. If there are results in the live search, but none on the results pages, reactivate the theme by switching to a default theme (twentysixteen or twentyfifteen) and then back to KnowAll. I get a “Heroic Knowledge Base and Heroic Shortcodes need to be installed and activated” on my site? You simply need install the required plugins as described in the Install Required Plugins heading above, or from Themes > Install Plugins. No problem, the HeroThemes support center is the place to find help.